*All prices found on this boat builder and website are based on standard MSRP in US Dollars. Prices DO NOT include destination fees, prep, registration fees, taxes, trailer, dealer installed options, or any other applicable discounts or charges. Prices, materials, standard equipment and options are subject to change without notice. Please contact your nearest dealer to determine exact pricing at time of purchase. Chaparral has been building quality family boats since 1965. Founded in Fort Lauderdale, Florida - Chaparral has called Nashville, Georgia home since 1976. Encompassing over 1 million square feet of manufacturing facilities, we are one of the South Georgia’s largest employers with a full time roster of over 800 employees. Building high quality boats is still a process completed by hand by skilled craftsmen. At Chaparral, many of our builders are second or third generation boat builders that take personal pride in every boat they build. 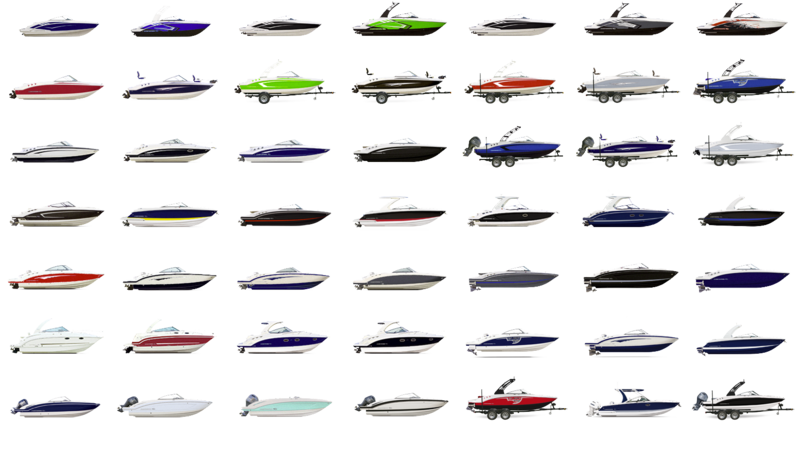 © 2008-2019 Chaparral Boats, Inc. All Rights Reserved. CHAPARRAL IS CONSTANTLY SEEKING WAYS TO IMPROVE THE SPECIFICATION, DESIGN, AND PRODUCTION OF ITS BOATS. ALTERATIONS TAKE PLACE CONTINUALLY. WHILE EVERY EFFORT IS MADE TO PRODUCE UP-TO-DATE LITERATURE, THIS BROCHURE SHOULD NOT BE REGARDED AS AN INFALLIBLE GUIDE TO CURRENT SPECIFICATIONS, NOR DOES IT CONSTITUTE AN OFFER FOR THE SALE OF ANY PARTICULAR BOAT. YOUR AUTHORIZED CHAPARRAL DEALER CAN CONFIRM MATERIALS, ACCESSORIES AND EQUIPMENT AVAILABILITY PRIOR TO PURCHASE. CHAPARRAL RESERVES THE RIGHT TO CHANGE PRODUCT SPECIFICATIONS AT ANY TIME WITHOUT INCURRING OBLIGATIONS.